Many of our clients are entrepreneurs – just as I am. I believe profoundly in entrepreneurship, both as one of the engines that drive our country’s economic growth, and also as a mindset. Entrepreneurs are great – but we are all human, and we all make mistakes. That’s how we learn. However, if these mistakes go unanalyzed, they can become entrenched, which can lead to unnecessary suffering. Issue: Not having a clear, written business plan can leave you flailing without direction, rather than targeting strategies and solutions which can help you achieve your goals. Solution: Having a written business plan, complete with goals and strategies for execution. The very act of developing a business plan helps maintain focus on your objectives and goals. Update and review your plan regularly, and whenever a change is required, make that change. Include metrics to benchmark your business’ progress. Issue: While a written plan is essential, the execution of that plan is the true goal. 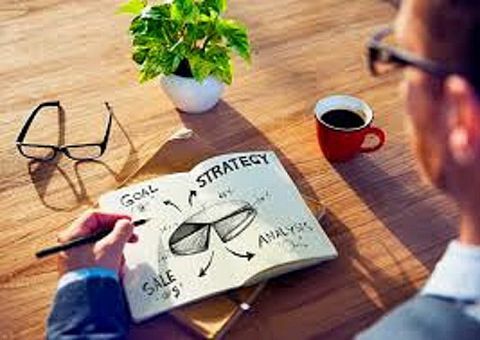 Some entrepreneurs become so obsessed with creating the “perfect” business plan they neglect taking the actions necessary to achieve the goals enshrined in the plan. Solution: Don’t obsess over creating a “perfect” business plan – you’ll be less likely to make needed changes. Just get it to 80%. Write down your plan, and then start working to make your plan’s goals a reality. Execution trumps strategy almost every time. Issue: It is important to have a good team that works smoothly together and with you, who are a “right fit” for your business. In the case of new hires, a “right fit” should work well with your existing team. Solution: Don’t be too quick to hire. Hiring should be a strategic decision, based upon where you think you’re going, not where you are currently. Remember, too – skills can be learned. We believe you should hire people who are not only technically skilled, but are also humble, hungry, and smart. Issue: Running from issue to issue, putting out one fire after another, and not focusing on your goals and strategies is not good execution. What it is – is management by chaos. Solution: We all need to put out fires. However, I recommend that every month, every week, and every day, you write down three (or so) things you want to get done, which further your goals and strategies. Make the time you need that day, week, or month to address them. This can help keep you focused on executing your plans, no matter what issues arise. Issue: Setting your prices to undercut your competitors may be tempting, especially when you are just starting out. But this mistake can snowball as your company grows. If your prices are too low for sufficient profit from the start, you can end up undercutting, not only your competitors, but yourself. Solution: In my experience, pricing is more of an art than a science. I believe your pricing strategy should be relative to the value you create. In order to determine the value your client perceives, have a deep conversation with them at the start of any project. Ensure that you completely understand your client’s expectations, and the value they place on the goods or services you are offering. Then, price the project accordingly. Mistakes are inevitable – we are all human. But protecting your business and your future by being mindful of potential mistakes, and taking active steps to avoid them, can save you money, time, and anxiety. What suggestions to you have for avoiding an entrepreneurial error we haven’t covered here? Click hereto respond directly to me.